Former Leeds United star Noel Whelan is pleased by the impending signing of goalkeeper Kiko Casilla for the Whites. Leeds have been hunting for a new goalkeeper to bring in to Elland Road to provide competition for current number 1 Bailey Peacock-Farrell. It has been claimed that Leeds are now closing in on the signing of Casilla from Real Madrid, with the third choice goalkeeper at the Bernabeu now bound for Elland Road. Whelan thinks that Leeds do desperately need another goalkeeper and has welcomed the addition of Casilla. He also believes that the 32-year-old will be a superb custodian from Peacock-Farrell to learn from. "He's got a wealth of experience. He's been at one of the biggest clubs in the world", Whelan said on BBC Radio Leeds following the win over Derby County. "If that is going to happen, fantastic, I think we need strength in depth in that area. "And he [Peacock-Farrell] will have someone who's got World Cup pedigree to learn from as well." Casilla is vastly experienced in La Liga, having clocked up a total of 140 appearances in the Spanish top flight. 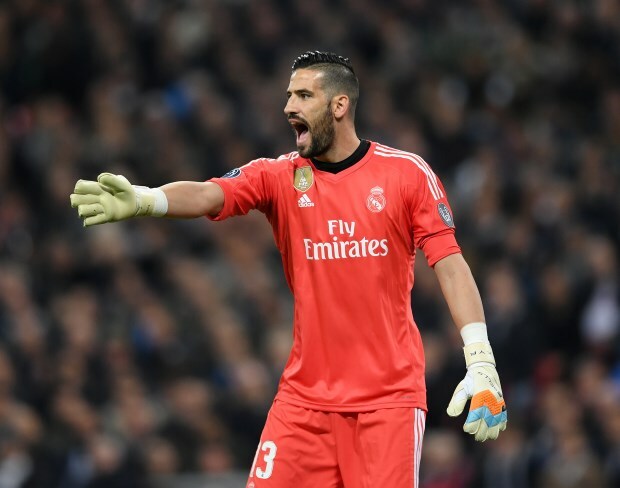 The goalkeeper linked up with Real Madrid again in 2015, having originally come through the club's youth ranks, and over the course of his stay has made 43 appearances for Los Blancos.